Luciano Pellegrini is a pasta master. Of this there can be no doubt. Whether he’s dressing squid ink garganelli with fresh sea urchin and caviar, or tossing thick ribbons of tagliatelle with braised rabbit and Australian black truffles, or using gemelli to show off his crunchy house-cured bacon, he never fails to hit the right balance between rich and light, earthy and ethereal. You never know what’s coming out of the Valentino kitchen, and that’s what makes it Las Vegas’ most fascinating Italian restaurant. Luciano is a restless sort, and he and his cohorts probably tweak their menu, and cook according to their whims (and available ingredients) more than almost any gourmet restaurant (Italian or otherwise) in town. So, the next time someone tells you they’re in the mood for pasta — good pasta, not the junk you get in most neighborhood joints in this town — take ’em to Valentino, and prepare to have your eyes and taste buds opened. That garganelli dish sounds incredibly intense. 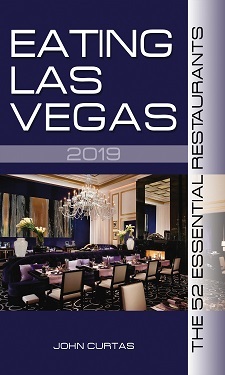 The most underrated restaurant in LV. I absolutely love this place. I think I may stop by Valentino at Caesars to buy a frock before I dine at Valentino at The Venetian. That’ll only set me back a few bucks. No better chef with birds and pasta period. This restaurant is great and people are fools for not eating at Valentino. I post on here regularly and offer very few enthusiastic comments about a restaurant, but this place is an exception. Valentino has been at the Venetian for over ten years and still puts out fantastic food. For Italian, I eat at three places; Valentino, Bartolotta and Italy. However, if Chef Luciano is in the house, don’t bother to go to Italy to eat, it’s better here.